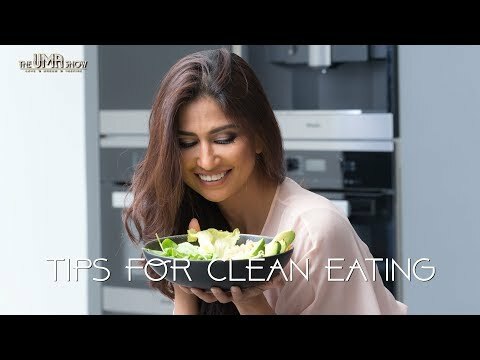 As you all know, eating clean is the latest buzz word among the health-conscious consumers. Eating clean promotes eating healthy, whole, unprocessed foods and getting rid of anything that’s manufactured or processed. Well, although the concept has recently begun trending, it is quite ancient and has been used since the ancient times. What do you think our forefathers must have survived on? Well, that was about the past. Currently, many health organisations have been promoting clean eating based on the current nutrition science. Research shows that clean eating optimizes your overall health, maximizes your energy levels, and keeps you youthful and glowing. More than a diet, it is now being promoted as a sustainable lifestyle shift that can be adopted for a healthy body and mind. And I am a live example of that, So today let us talk about a few steps you need to keep in mind in order to eat clean! Whole foods like fruits and vegetables which are naturally produced in Nature and are not processed or manufactured can significantly reduce your risk for a number of chronic diseases, including high blood pressure, type 2 diabetes, heart disease, obesity and cancer. The fiber in whole produce also keeps the good bacteria in your gut called microbiome happy, which eventually fights off pathogens and infections and even helps to improve your mood. Eating home cooked food will increase the nutritional value of your food because unlike restaurant food, it will be fresher, healthier, and unprocessed. So you may not be a great cook, but at least when you cook your meals at home, you know what’s going into it and that makes it more nutrient rich than foods you have at a restaurant. Get rid of the whites from your diet, be it white sugar, white rice, white flour or anything that’s to do with high carbs. Also keep your sweet cravings in check and don’t let refined sugar ruin your system. The more sugar and carbs you eat, the more calories you are adding to your food. So go for fruits instead or opt for berries or foods that are naturally sweet. Eating on time is key to maintaining your blood sugar. If you starve yourself for long hours or eat processed foods that spike your blood sugar, you’re going to ultimately end up having those sugar cravings. And that’s simply because you are low on energy. In such cases, you’ll end up indulging in more chocolates, sweets and caffeine to keep yourself going. This is a vicious cycle that will continue if you don’t decide to break it. So make sure you’re eating whole foods and eat at regular intervals so that you don’t go hungry for too long. This will keep you feeling full on the physical as well as the mental level. Just like sugar, most of us are consuming more sodium than we ideally should. So minimize your salt intake and flavor your foods with vinegar, spices, lemon and herbs. You can also use coarse sea salt or kosher salt which can add punch when sprinkled on dishes at the end of cooking, and they contain less sodium compared to table salt. Most of us typically have good intake of carbohydrates and fat in our meals, but we often miss on protein. Protein is an important muscle-builder, and it can stave off your cravings and help in curbing your appetite. By having a balanced meal with all your three important nutrients in place, you will stay healthy as well as feel younger and healthier for long. High calorie drinks such as soft drinks, specialty coffees, and beverages, add on extra 400 to 500 calories a day. Choose water or unsweetened tea as much as you can. Or if you really want to drink something, then go for some clean drinks like low fat skimmed milk or juice diluted with sparkling water. I have never gone on any diet in my life, and I am big advocate of eating clean and balanced. And as I always say we are all different, and our bodies our different, we react to different foods differently so try them, maintain a food diary and see how you feel after having certain foods and continue doing this, be consistent and your body will tell you all that you need to know. Have you started your journey with clean eating, and how is it going? Would love you to share with me and my tribe.